Janice, Leroy, and I are pretty sold on our life out here in the country. We have the hen house, the garden, and all the amenities we need in town just a few miles away. But in my younger days, I did consider moving towards the city. Urban areas do have a lot to offer – from jobs to entertainment, there’s lots of love about a city. But not all cities are right for people who just couldn’t live without their dog. Some cities have strange laws that make it hard to have dogs. For example, did you know that there is a city where it’s illegal for dogs to chase squirrels? Other cities are simply not very dog friendly, offering very little in the way of dog parks or yards where dogs can get exercise. Even apartment-dwelling dogs need exercise every day. For example, most homes in Philadelphia have very little yard space, and the city itself isn’t known for having tons of dog-friendly amenities. But there are some cities out there that are known for being just as welcoming to dogs as they are to people. Here are the top 15 places around the U.S. where you could easily live a happy life with your city pup. This city regularly makes the top of any “dog friendly cities” list. The city has the most dog parks per capita in the entire nation, and it even has its own social network specifically for dog lovers. There are pet massage therapists licensed in the city, and artisanal doggie bakeries in more than once place. There are pubs that allow pets indoors, and the average home size provides enough space for dog owners to have a yard in addition to having access to so many dog parks. The city is even making moves to enforce a mandatory fine for owners who don’t pick up their dog’s waste. 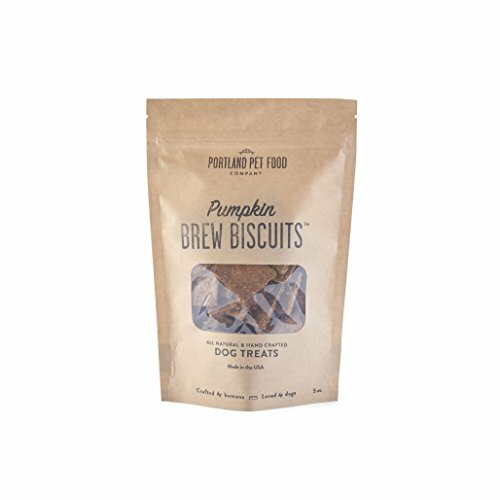 This city is also home to the Portland Pet Food Company, which makes dog treats with spent grains from Portland breweries. That’s a fun way to support two different local industries for dog owners in the area. Chicago has tons of dog-friendly amenities. From the many restaurants and pubs that leave out bowls of water on the sidewalks for passing dogs, to the Dog Day hosted at a Chicago White Sox home game every year, the city is very dog-friendly. There are also dog-friendly beaches and elevated walking paths dedicated to dog walking. Here’s another town where dogs are frequently allowed inside businesses. Many bars have a “Yappy Hour” where dogs can join their owners while they grab a beer, and dogs can ride the subway during certain hours as well. There are also cruises of the Harbor where dogs are allowed on board, and plenty of neighborhoods in Boston where having a dog is considered part of being a resident. This means that the apartments, parks, and other amenities in that neighborhood expect to see dogs with people. Quickly working its way up as one of the best up-and-coming cities to live in, period, Austin offers a lot for dog lovers. There are pet boutiques, a dozen pet parks, tons of pet professionals like pet photographers, and lots of water for a water-loving pup. There’s even a dog far and a pet parade during the year, plus a mobile food truck for dogs to get tasty treats on the go. Of course if you’re going to live in Texas, your dog has to have a cute cowboy bandana to wear around. This is the ideal city for people who love to be outside with their dog. Tucson has 350 days of sunshine each year on average, making it officially the sunniest city in the entire country. The city has plenty of dog parks, walking trails, and other recreational areas to play in for dogs. There’s also a “Pit Bull Awareness Day” event called Pitbulooza, and the city is much more friendly to this great breed than other areas in the country. There are also pet spas and boutiques all across the city, so a dog can be spoiled as much as you want. Believe it or not, Sin City is a great place to live for a dog. There are 25 off-leash dog parks, which makes this city rank third best in the nation for dog parks per capita. It’s not the most walkable city in the nation, but it does have tons of sunny days to take advantage of a ride down the strip and a jaunt at the park. There are several casinos that have guest hours for dogs, and there are strict laws protecting dogs that bark and annoy the neighbors. Vegas has a radio show dedicated to dogs, and a famous Dachshund rescue group. The nation’s capital gets its dog-friendly reputation largely for being such a walkable city. It’s easy to get around with your pet on foot, and there are more than half a dozen dog parks around the city. There are also other parks where dogs are allowed as long as they stay on their leash, and many of the famous monuments that are outdoors allow dogs. The city also has dog bakeries that are well known for tasty canine treats. Not all dog-friendly cities have to be sunny year-round. This wintery city earns its place thanks to an overall culture of dog-friendly attitudes. The city has plenty of dog-friendly restaurants, as well as tons of parks and hiking trails. There is a dog carnival in the summer, as well as regular “Beer with Your Buddy” days at local pubs. There are dog spas and professional pet photographers all over the city as well. If you’ve been around the Internet for a while, you likely remember the image of a man holding his arthritic dog in the icy lake waters to help the dog feel better – that image was taken in Minneapolis, and sums up the city’s feeling about dogs in general. Heading back to the warmer side of things, Miami is another great city for dog lovers. In addition to heading down to the beach with your dog, you can also dine out with your dog just about anywhere thanks to the trend towards outdoor dining at most restaurants. There are dozens of pet boutiques around the city, as well as many other pet services. 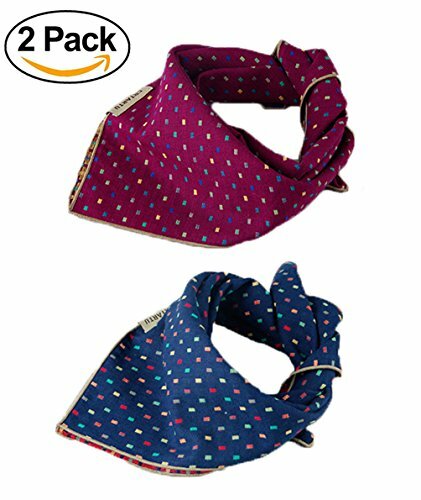 You do have to make sure your dog is well trained not to chase birds, because they like to hang out at all those outdoor dining spots too – but if your pooch can handle the distraction, this is an excellent city for keeping your dog with you all the time. 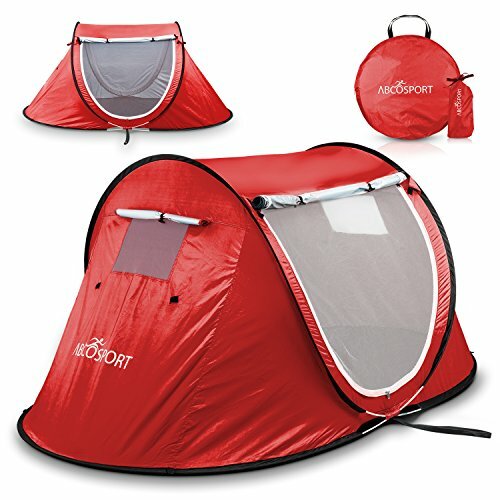 If you’ll be at the beach with your dog a lot, consider getting them a little portable shade for the hottest part of the day. On the other side of the country, there’s another beach city that is perfect for dog lovers. This city boasts plenty of dog-friendly beaches, plus 16 dog parks for getting in even more exercise. There are plenty of restaurants that allow dogs on the patio or indoors, and this is also the easiest city to find a qualified professional dog sitter in. There is a National Dog Party Day celebration in the city every year, and there’s also a surfing contest for dogs held annually. The city is also making moves to ban the sale of pets that are bred in commercial facilities, and there’s a pretty strong dog advocacy group in San Diego. If you want to take your dog with you throughout your day, Seattle is the place to be. This city allows dogs on the buses, ferries, light rail, and even the seaplanes that get people around locally. There are hundreds of dog-friendly businesses, there are over 32 Meetup groups for dog lovers in Seattle, and there’s even a weekly calendar of dog-related events for people around the city. This is also the home of the doggie boarding site Rover.com, as well as outdoor adventuring company REI, which sells many items for dogs. 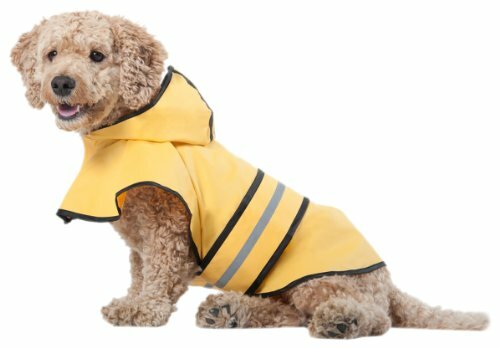 If you plan to bring your pet to Seattle, you may want to grab a dog rain jacket, because this is a very wet state! If your dog needs a lot of space to play and run, Albuquerque is a great city to live in. You’ll still get to be in a big city, but there are more than 33,000 acres of public parks to take your dog to. The city is relatively walkable, and the weather is typically sunny for about 300 days of the year. There are many restaurants that cater to dogs, and the city hosts a dog ball to raise money for spaying and neutering every year. There may not be quite as much to do in terms of fancy boutiques and pet spas, but this is a great place to live for dogs that just want to be outside. This city is one of the best places to live if you want to keep your dog with you throughout your day. Dogs are allowed on the trolley, in many bars, in lots of restaurants, in several gyms, and more. Dogs can also ride the ferry, and are allowed on the Bay Area Rapid Transit if you crate them. There are also plenty of cabs that will pick you and your dog up, but the city is also very walkable. There are 27 dog parks throughout the city, and the city even has its own dog-themed news outlet called Bay Woof. If you want to live in a city where there is a lot to do with your dog besides walk around, Phoenix is a great option. There are tons of dog-themed events all year long, from the dog days at the ball park to see the Diamondbacks, to the many other events around the city. There are tons of parks and other outdoor areas for dogs to enjoy, and the average lot size for homes includes plenty of space for big yards. Only 15% of the year sees precipitation, so your dog can be outside as often as they like. In Denver, dogs have plenty of friendly amenities to take advantage of. 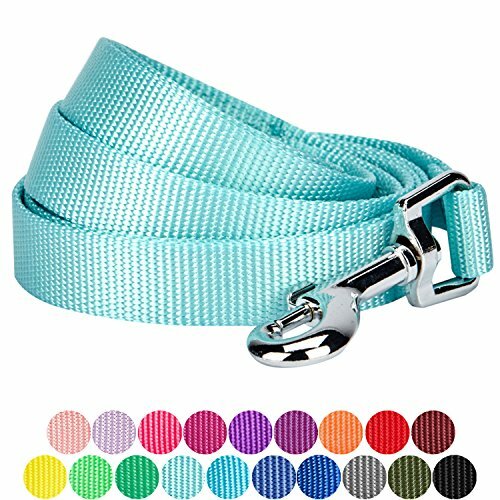 There are nine parks where your pet can be off their leash, and over 100 pet-related stores to shop! Denver is surprisingly sunny, with nearly 70% of the year being precipitation-free, and there are several businesses that allow dogs inside. It’s a very friendly city for dogs and their owners who want to be in a slightly cooler area than the many sunny locations that have made this list. Some cities are actually rated as the worst places in the U.S. to live with a dog, for many reasons. We already mentioned Philadelphia earlier, but did you know that Hartford, Connecticut, Los Angeles, California, and Madison, Wisconsin, consistently rate as some of the worst places to live with a dog? Be sure to check out a city’s dog-friendly score before you move! Moving to a whole new city is always a big feat, but you can make it easier when you choose a place that is going to welcome your pet. Finding a city that has plenty of dog parks, places to take your dog with you, and dog-friendly legislation, is like hitting the jack pot when it comes to moving house. Walkability is always a good indication if you can’t find any dog-specific information. Look for a city where walking is a viable way to get around to most places, and you’ll likely find that there are plenty of dog amenities. After all, who wants to spend all their time walking around without a friendly pet along?